Lombok's Bau Nyale Festival 2018! 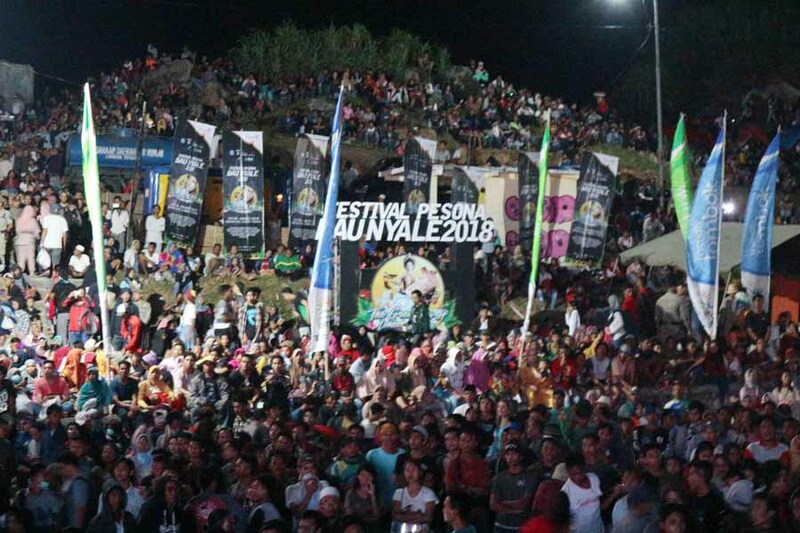 Festival Pesona Bau Nyale 2018 was finally ended on Tuesday night (03/6) with thousands of people took place in Seger beach. If you have never heard what “Bau Nyale” is, read it first on this link. People crowded the Seger beach on Bau Nyale Festival 2018. The festival is one of 100 Indonesia’s tourism national events which aims to introduce and promote local cultures and traditions. Lombok is known for its cultures and traditions preservations and they are manifestated in events and festivals. In 2018, West Nusa Tenggara has already launched 15 tourism events calendar with various series of attractions. Festival Pesona Bau Nyale is one of these 15 West Nusa Tenggara’s tourism events calendar. 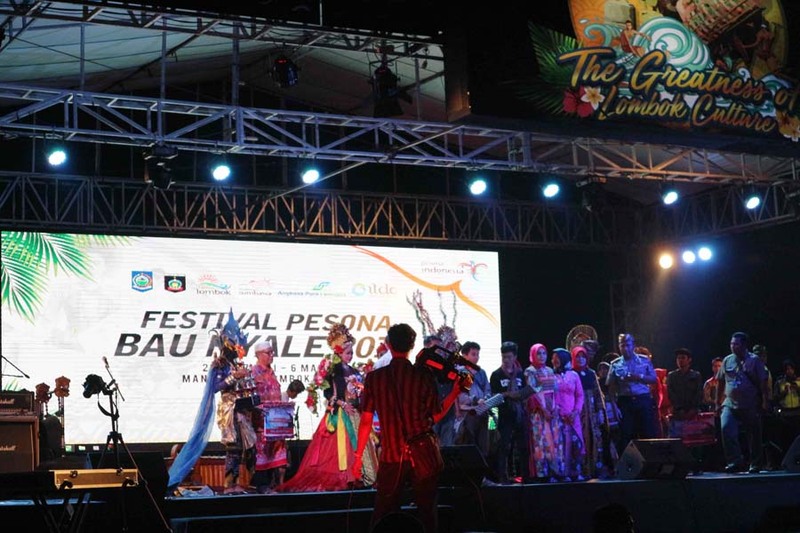 Putri Mandalika Competition on Bau Nyale Festival 2018. 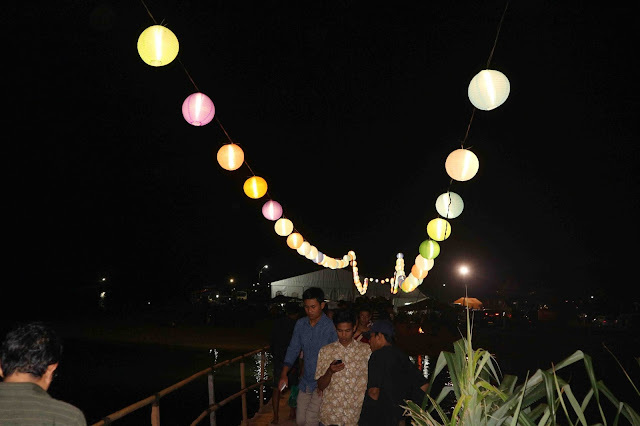 The festival was crowded by around 5000 people who gathered in Seger beach. It is featured with live music performance, Putri Mandalika competition, a colossal drama of The Legend of Mandalika and many more. It was started at 7 pm by Putri Mandalika participants walked through the stage and showed off their unique costumes. It was participated by 15 participants from all regions in Lombok. Bau Nyale Festival 2018 in Seger beach, Kuta Lombok. I can say Seger beach was fully covered by thousands of people at that night. Merese hill which is also one main attraction nearby Seger beach was crowded by the locals who were coming to catch sea worms (nyale). 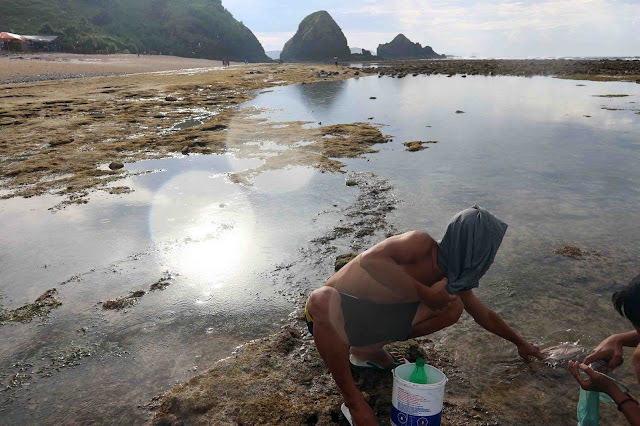 Bau Nyale (catching the sea worms in Seger beach). 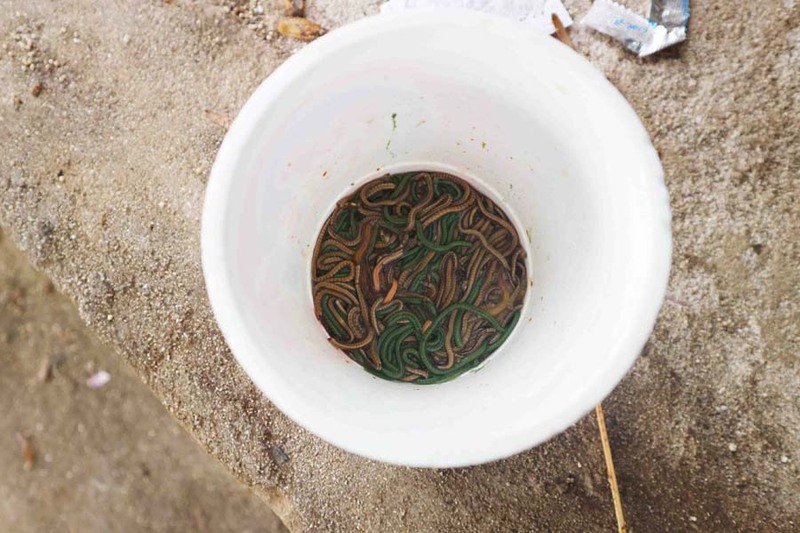 Nyale (sea worms) catched by the locals. The festival was ended up with “Bau Nyale” procession which was started in early dawn when people altogether move on to the beach. It slightly looked like the Lombok coastal line was covered with people. Nyale was believed as the reincarnation of Putri Mandalika which sacrificed herself for Lombok’s prosperity. Read my full report on this link.